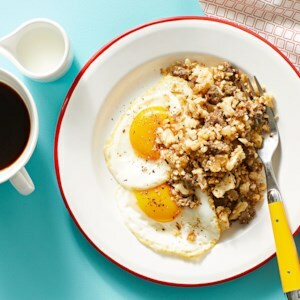 Find healthy, delicious high protein breakfast and brunch recipes, from the food and nutrition experts at EatingWell. 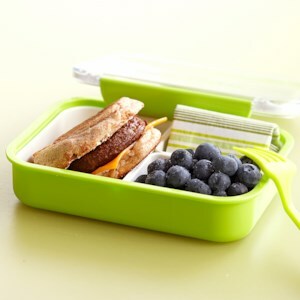 This healthy hack for making an instant breakfast sandwich in the microwave might sound weird, but it tastes great! 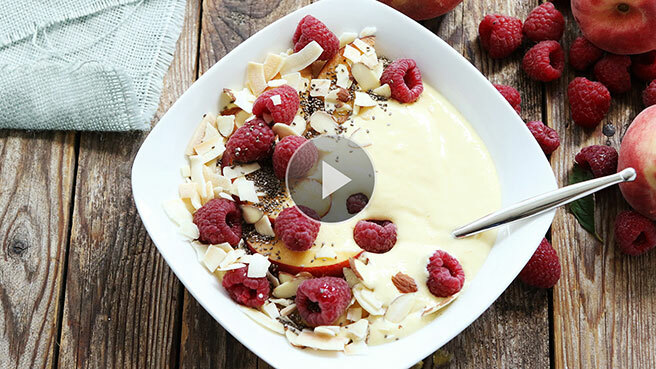 The creamy, frosty base in this smoothie bowl recipe is so thick you need a spoon to eat it. 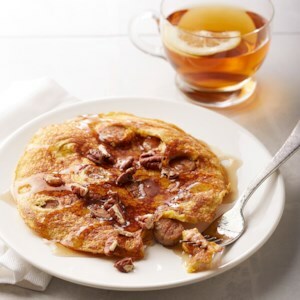 Top it with fruit, nuts and seeds for a protein-rich breakfast. 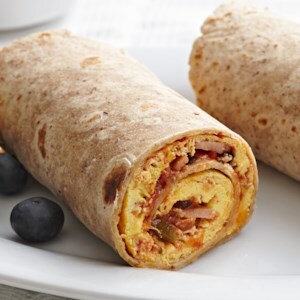 This protein-packed Southwestern egg burrito recipe is ready in minutes for an easy, on-the-go breakfast the whole family will love. 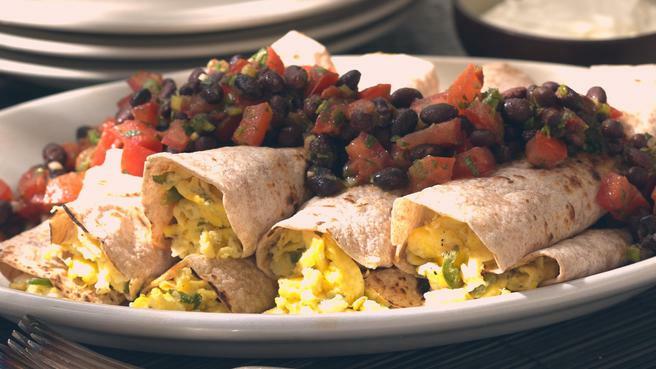 Start your day off right with these protein-packed breakfast recipes. 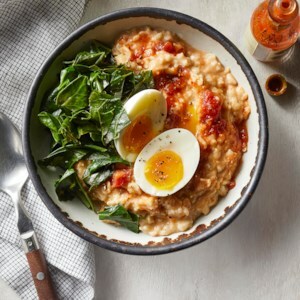 These healthy breakfasts have 15 grams of protein per serving or more to help fill you up and keep you satisfied until lunch. Plus, they're packable. 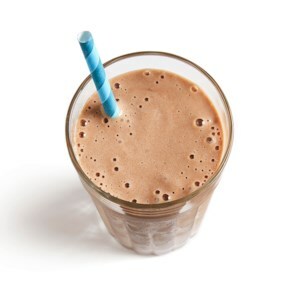 Throw your smoothie or yogurt in a mason jar and wrap up your sandwich and you have a healthy breakfast to grab and go on busy mornings. 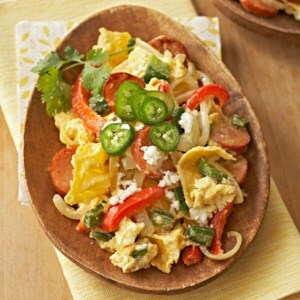 Instead of plain, boring scrambled eggs, try this jazzed up version! 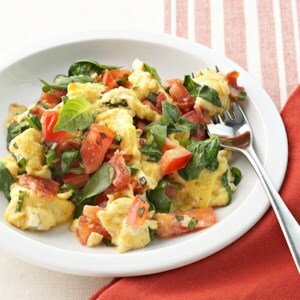 Extra egg whites provide added protein, and fresh spinach, turkey bacon, juicy tomatoes and fresh basil deliver gorgeous color and tantalizing taste. 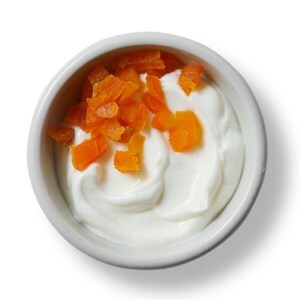 Have a houseful of guests? 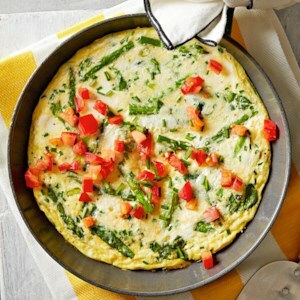 Let them sleep in while you prepare this hearty breakfast strata. 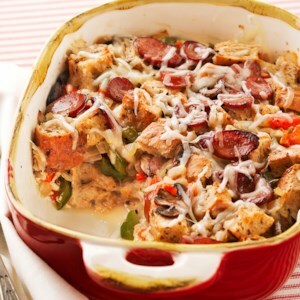 Cubes of a whole-grain baguette soak up the egg and milk mixture and are combined with smoked turkey sausage, sweet peppers, onions and mushrooms in this crowd-pleasing dish. 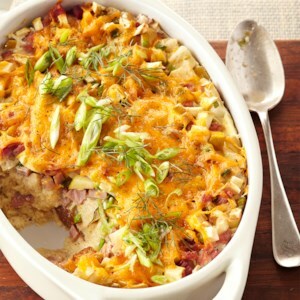 Strata is a layered casserole that's made with a mixture of eggs, bread and cheese--it's the ultimate brunch dish! 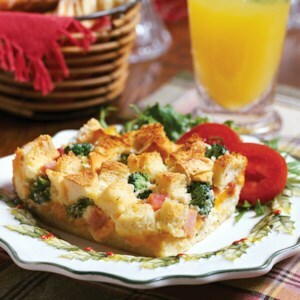 In this version, chunks of French bread soak up the milk and egg mixture and are baked to perfection alongside ham, cheddar and broccoli florets. 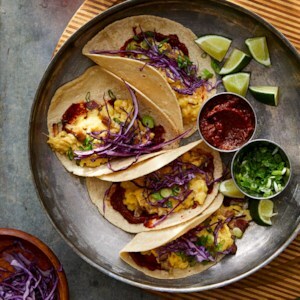 It's a meal your entire family will love. 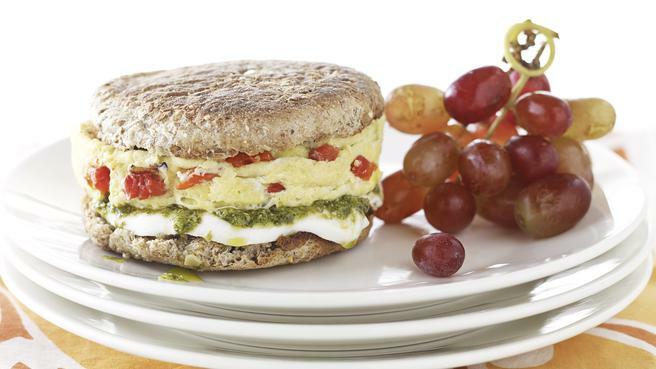 This breakfast sandwich will satisfy your hunger for hours. 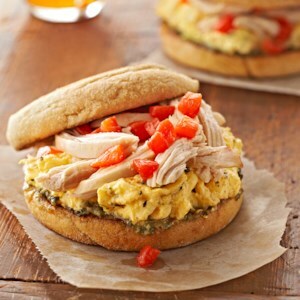 It features Italian-seasoned scrambled eggs, shredded chicken breast and strips of roasted sweet peppers atop a pesto-smeared toasted whole-grain English muffin. 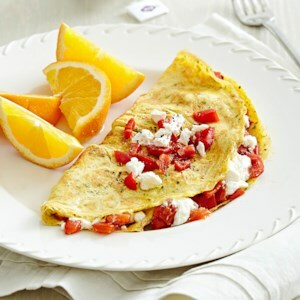 This healthy red pepper and goat cheese omelet is ready in just 10 minutes. Frozen basil cubes add wonderful flavor to this dish and help make it super quick to prepare. 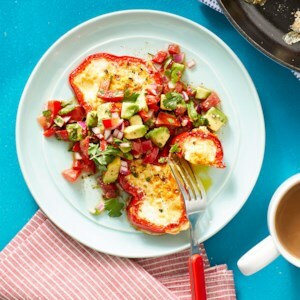 This entree for one is ready in just 10 minutes! 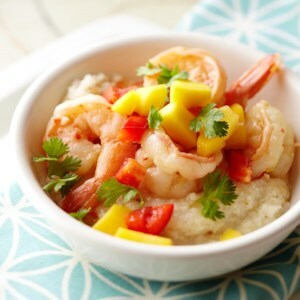 Cumin seeds--toasted to bring out their deep aroma and slightly nutty flavor--add a savory note to the citrus-infused marinade in this shrimp and grits recipe.